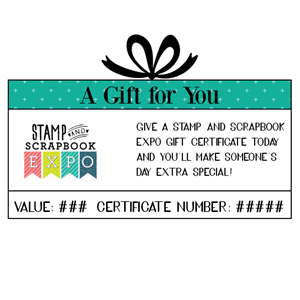 Put a smile on someone's face with a Scrapbook EXPO Gift Card or E-Gift Certificate! It’s the perfect gift for that creative person in your life. Like to plan ahead? Our Gift Cards are the ideal way to go! They are available any time and the shipping fee (via USPS) is only $1.00. Short on Time? 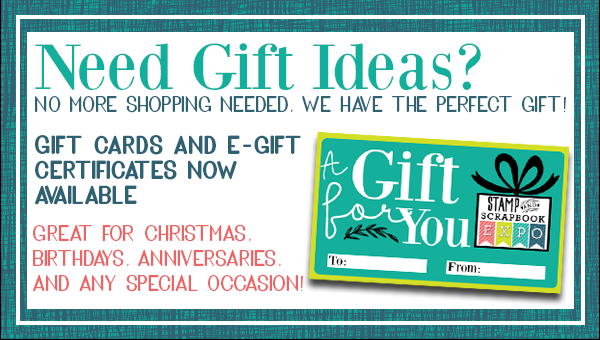 A printable E-Gift Certificate will be sent to you instantly upon the completion of your online order. It’s the perfect way to get a gift in only minutes. 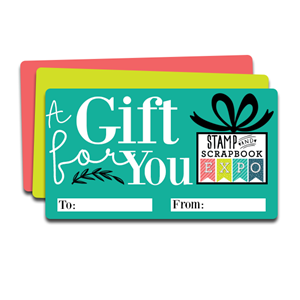 May be used online or at any Scrapbook Expo event. Choose any value ($25 or more). Use toward Admission, Workshop, or Crop Tickets only.